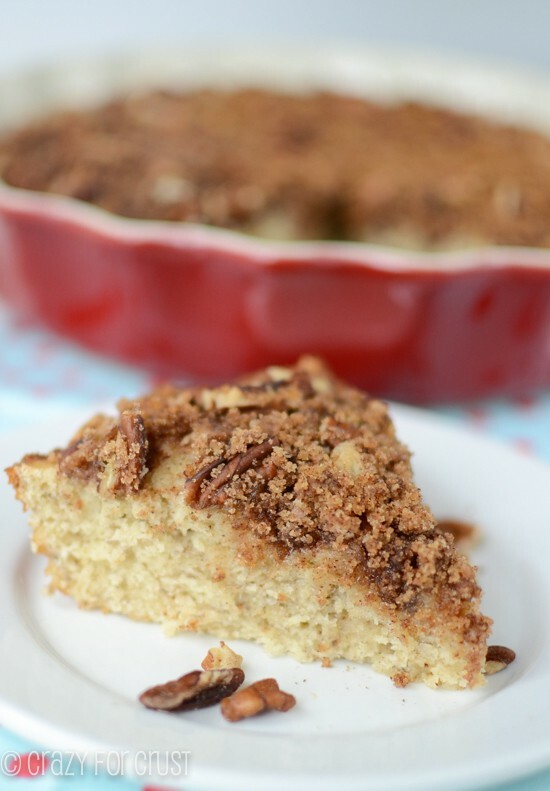 Banana Bread Coffee Cake – this EASY coffee cake recipe is full of banana bread flavor with a nutty streusel on top! It’s everyone’s favorite breakfast or brunch recipe! When you’re a blogger, you make lots of internet friends. The friends and community really are one of the best parts of blogging. After awhile, you no longer refer to them as internet or blogging friends…they’re just friends. Plain and simple. And then you get all sorts of funny looks. I liken it to internet dating. You meet online, you chat, you email, and then you finally meet in person. You’re nervous because what if it’s different than online? And then you realize you’re being stupid feeling freaked out because you practically do know these people, just not in person. Anyway, long story short – I get to meet another of my internet/blogging turned real-life friends, Lisa, tomorrow! She’ll be in town for a night and I’m going to drive down and meet her for dinner. I am So. Flipping. Excited. I just wish we could hang out longer, maybe see the sights and then have coffee and coffee cake together. Because this banana bread coffee cake is SO something we could bond over. 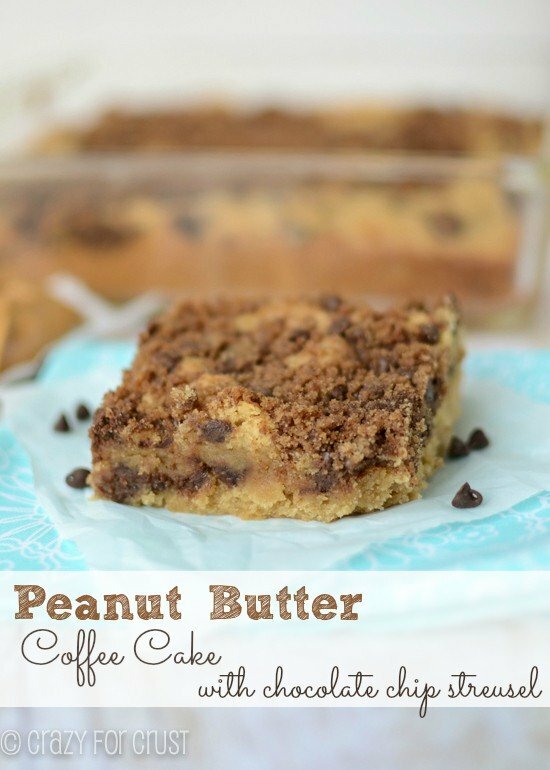 It should come as no surprise that I am addicted to coffee cake. I have made so many versions: carrot cake, peanut butter, cinnamon roll pie, pumpkin, and zucchini. Why not add banana bread to that list? For this recipe, I combined my mom’s banana bread and her coffee cake recipe to make an amazing banana bread coffee cake. It even has a pecan streusel topping. 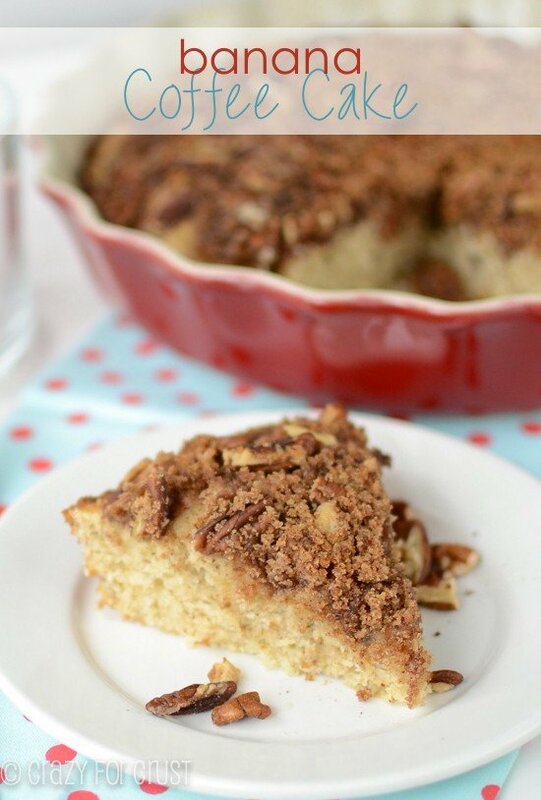 We all know, the streusel makes the coffee cake! And this one totally does! And I also browned the butter. Have you ever had brown butter? It’s, like, the best thing everrrrr. I know it takes an extra step, but you should totally go for it. If it’s not your think, use regular melted butter. 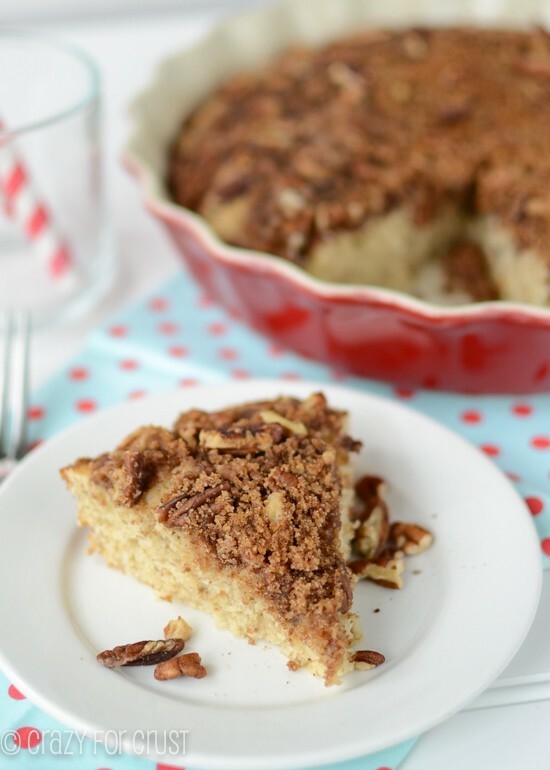 The brown butter, the bananas, the streusel – this is one of my favorite coffee cakes yet! It would go perfectly with a cup of coffee…and a BFF. Banana Bread Coffee Cake - this EASY coffee cake recipe is full of banana bread flavor with a nutty streusel on top! It's everyone's favorite breakfast or brunch recipe! Preheat oven to 350°. Spray a 9” square pan or a 10” pie plate with cooking spray. Add 6 tablespoons of butter to a small frying pan. Cook over low heat, stirring until it browns. It will foam up, then turn brown. Keep stirring the entire time. Once it turns brown the foam will diminish and the butter will become golden. Remove from heat. You are using this butter for both the cake and streusel! Whisk flower, baking powder, and salt together in a medium bowl. 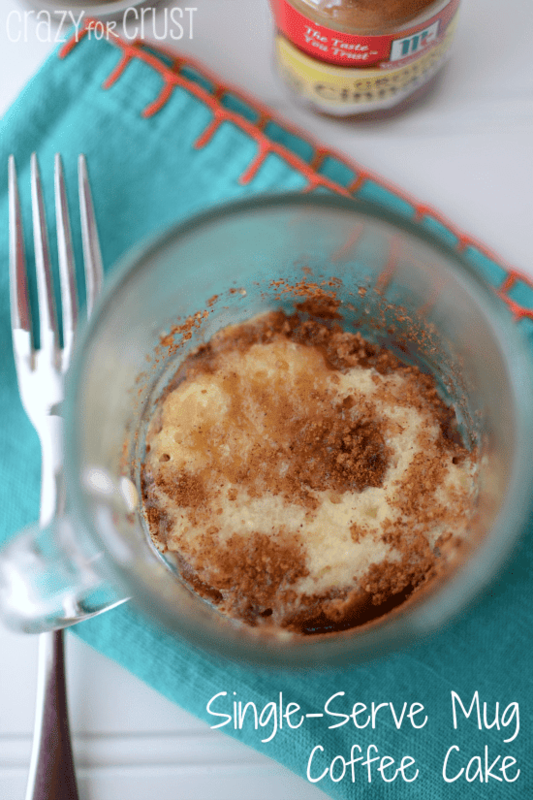 Mix sugar, 4 tablespoons of the browned butter, and egg in a large bowl. Stir in milk and mashed bananas. Stir dry ingredients into wet and stir until just combined. Make the crumb topping: stir together brown sugar, flour, cinnamon, remaining browned butter, and nuts. I want to try this. I have all the ingredients, but all I have is an 8” square dish or a 9 x 13. Would either one of those work to bake this cake in?